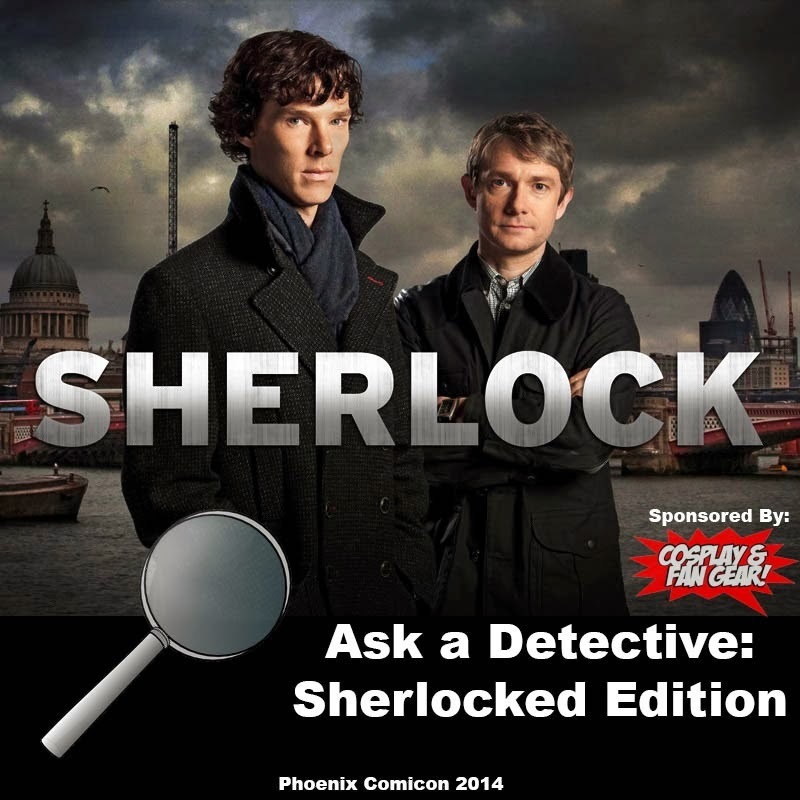 This is a video of our panel Ask A Detective: SHERLOCKED Edition during Phoenix Comicon 2014. This panel puts 4 cosplayers in the roles of characters from the BBC TV series, Sherlock starring Benedict Cumberbatch & Martin Freeman. Joining us is also a real private investigator. During the panel, fans asked questions to the cosplayers as they perform the role of the characters from the show. If you are a fan of Sherlock feel free to chime in! Special thanks to our cosplayers and the real detective who joined us. Subscribe to this channel for more videos.